Since the coup against the elected Yanukovich government in Ukraine on February 22, 2014, an international crisis has been brewing -- involving the U.S., E.U., and Russia, and closely linked to the expansion of NATO since the 90s. The North Atlantic Treaty Organization was created by the U.S. and Western European nations to militarily counter the Soviet Union. However, after the fall of the Soviet Union in 1991, NATO was not disbanded but was significantly enlarged. At a meeting on January 10, 2015 two speakers, authorities well equipped to explore this subject, discussed the background causes of the Ukraine troubles (now drawing the U.S. and Russia closer to possible military confrontation). 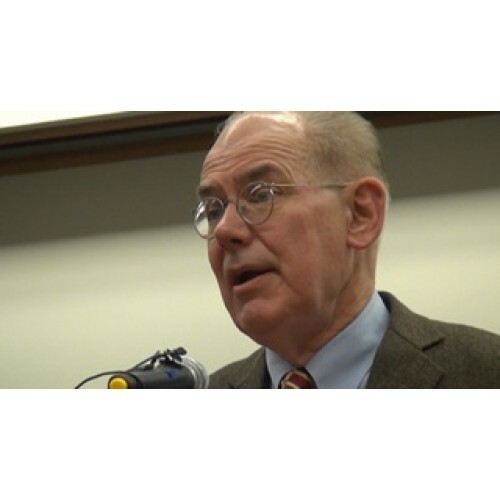 Speaking were Dr. John J. Mearsheimer, co-director of Program on International Security Policy at University of Chicago; and Rick Rozoff, manager of the Stop NATO website. Dr. Mearsheimer spoke of the real reason of the crisis: "We are interested in peeling away Ukraine and Georgia from Russia's orbit and making [them] bulwarks of the West, right on Putin's doorstep." Mearsheimer goes on to remind us how sensitive big powers are to that kind of thing with the way the U.S. reacted to the prospect of Soviet missiles in Cuba in 1962. American foreign policy, rightly or wrongly, was obsessed with upholding the Monroe Doctrine declaring U.S. hegemony in the Western Hemisphere. 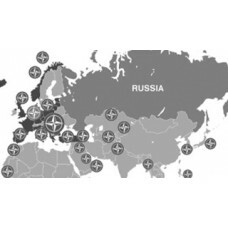 Dr. Mearsheimer and Rick Rozoff fleshed out the three parts to the West's strategy vis-a-vis Russia and its immediate neighborhood in Eastern Europe: 1) NATO Expansion, 2) European Union Expansion, 3) Promote Democracy (meaning putting in power leaders who are pro-Western and anti-Russian). Rozoff provided the background narrative to the steady march of NATO expansion since the 90s. In 1999 NATO held its 50th anniversary summit in Washington, D.C., while at the same time conducting its first war (to break up Yugoslavia, the first war in Europe since WWII). NATO then went on to conduct wars in three continents. Now, US-controlled NATO has 28 full members and 39 partner countries, nearly half of the nations in the UN. The April, 2008 NATO summit in Bucharest was followed then by a war between Georgia and Russia in August, 2008, precipitated by plans to make Georgia part of NATO. 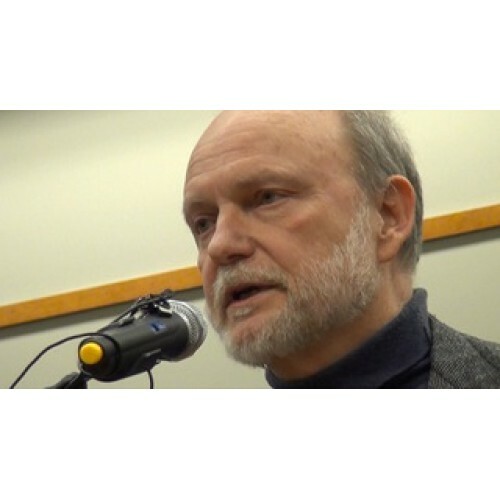 "It's clear," Rozoff noted, "that policy makers in the United States and also their NATO allies in Europe were envisioning some sort of continental system in Europe...There's not a single European nation...that has not either been a full member of NATO or a member of the Partnership for Peace program and in many instances several intermediate programs...So what we're talking about is the entirety of Europe being subordinated to a military bloc controlled from the other side of the Atlantic, and nothing less." Both speakers underlined the sobering implications of NATO expansion. Rozoff ended his talk by saying, "I should let you know that both of us panelists objected to the original title that was proposed for this talk which included words to the effect of 'nuclear war' or something. However I woke up this morning to see that someone not noted for ever having being tremendously confrontational with the West, former Soviet President Michael Gorbachev, talk about just that prospect". Labor Beat here presents a condensed version of Mearsheimer's and Rozoff's 50-minute discussion. Also, we have generously enhanced the video with news photos and maps. Here is an introduction to the Ukraine crisis, NATO, and relevant political geography touching upon Eastern Europe, Russia and the Black Sea region.